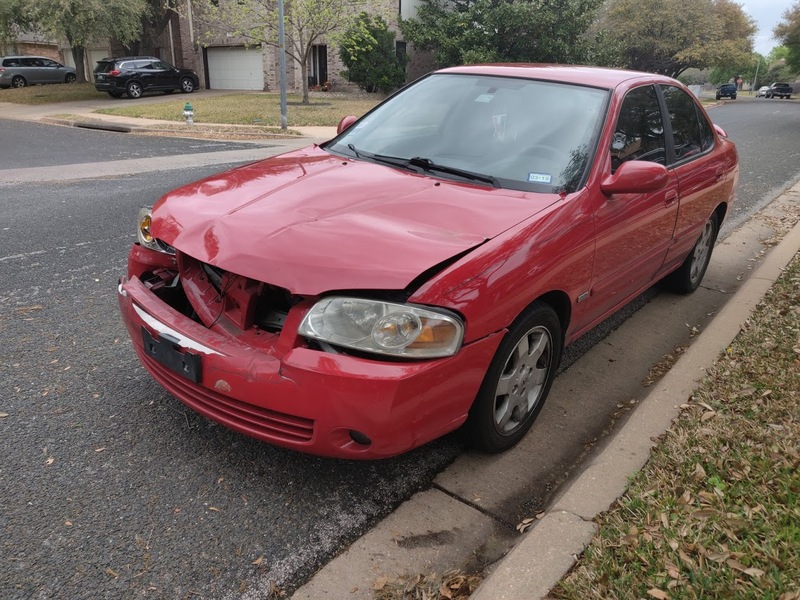 Nissan Sentra Forum - B15, B16 and B17 Sentra Forums > 2000-2006 B15 Nissan Sentra > General Discussion > Crashed sentra - part out or scrap? Crashed sentra - part out or scrap? Was able to drive home 11 miles from the scene of accident. I was at fault, and since I had no full coverage on this car, I'm left with paying for repairs out of pocket. The car was running great till the accident, I kept it maintained regularly (I did most of the work on it). Repair estimate from the nearby body shop is pretty much the same as car's current value so not worth it. I also got offered $300 by a junk car buyer local to the area. I'm also thinking about parting the car out, it has been running great till the accident. Do y'all think it's worth it? I'm not sure how much time it'd take to cash in more than the junker's offer and then sell the rest as scrap metal. I'm in the Austin area, if anyone is interested in parts let me know. Besides the body damage the only non-body/non-structural items that are damaged are the radiator/AC condenser.